This week’s health goal is to use more honey in your diet, and your life! What kind of honey, and where should you buy it? There are dozens of different types of honey, from alfalfa to sourwood. Among the most popular is organic, raw clover honey. Of course, you know that buying local honey is the best for you and the planet. Jump online and find out what kind of honey is produced in your area. You may be surprised and delighted to find that you have a particularly sweet brand of honey available locally. An easy tool to find organic honey in your area is www.localharvest.org. Why are we praising honey? It can be beneficial in treating wounds, particularly skin ulcers, as it stimulates healing in the body. Honey has the potential to ease allergies. -In one study published by WebMD, honey was described as easing symptoms of the common cold and helping ill children sleep better. Professor Mahantayya V Math, from MGM Medical College, Kamothe, Navi Mumbai, India, suggested in the British Medical Journal that honey may be helpful in preventing acid reflux. Several sources tout honey as a natural folk remedy for acid reflux, although no existing studies verify the theory. How can you use honey? Use honey in the foods you eat. Spread it on a bagel or muffin. Pour some in your coffee or tea. Even consume a teaspoonful for a sweet treat after dinner. 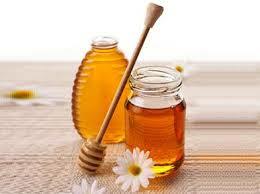 You can also use honey on scrapes and scratches or minor skin ulcers. Dab a little on your bandage and cover your injury. And next time you feel a cold coming on, grab a local bottle of honey, and you’ll experience the benefits!